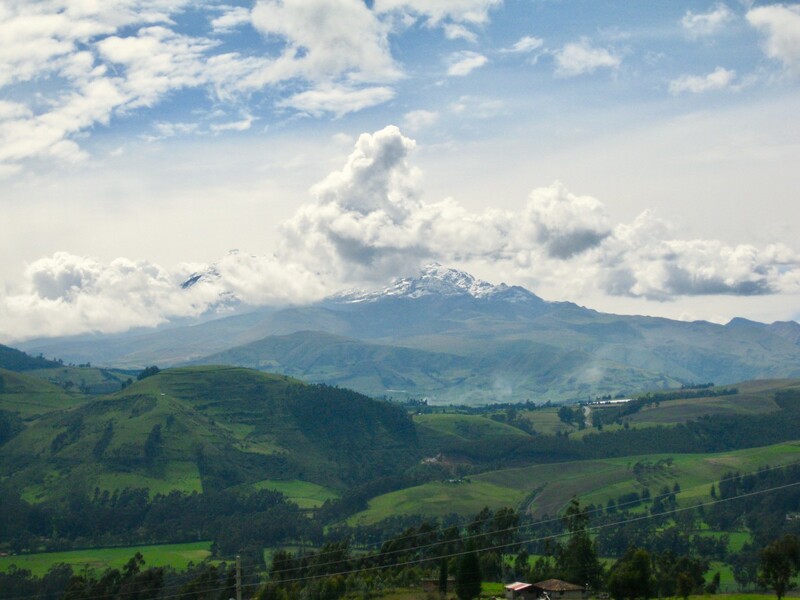 I’m happy to report that the interview stage of the project is now well underway, and in addition to surveying the people of Salasaka in Imbabura province in the Central Sierra region of Ecuador, I am including the Comuna of Zuleta in Imbabura province in the north. Zuleta and I go back a long way in time, as I first carried out archaeological investigations at the huge Caranqui period ramp mound site in the grounds of the Hacienda twenty years ago. Since then my interests have developed more in the direction of ethnography and ethnohistory and pursuing my interests in Shamanism and Traditional Medicine. 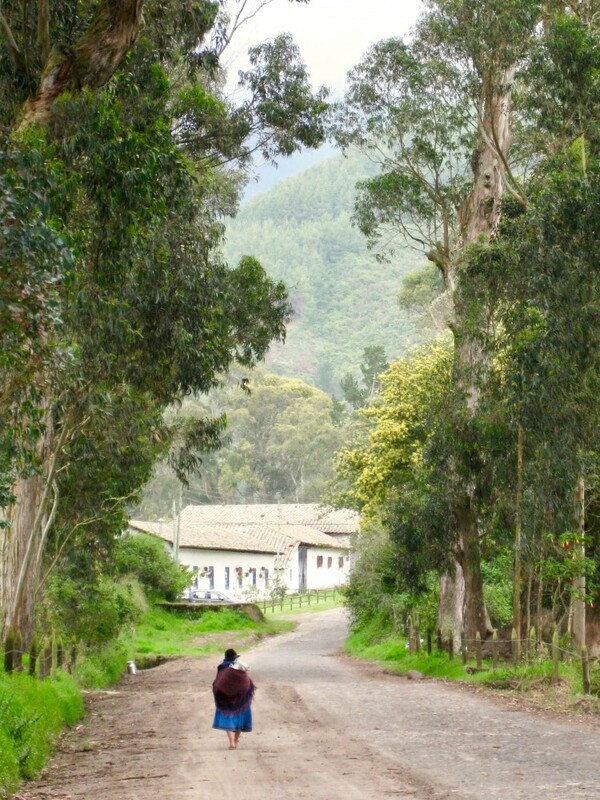 There is a substantial indigenous population throughout the northern sierra region, but the population at Zuleta is rather unique, in that it has an historical association of close connections with the hacienda, since the incumbency of President Galo Plaza Lasso, and the Comuna received its legal entitlement back in 1943. Many of the people in the Comuna still work at the hacienda, or have developed their lives and livelihoods in a symbiotic way with it. As such they represent a rather unique population, which, although still largely Kichwa speaking and with traditional indigenous lifestyles, nevertheless have adapted to the influence of the hacienda, and, more recently, to the burgeoning international tourism industry there. It was felt that they could offer an important view upon how traditional belief systems become modified by sustained contact with alternative (‘western’) systems of thought and viewing the world. The first interviews do suggest subtle but important differences between the two groups. 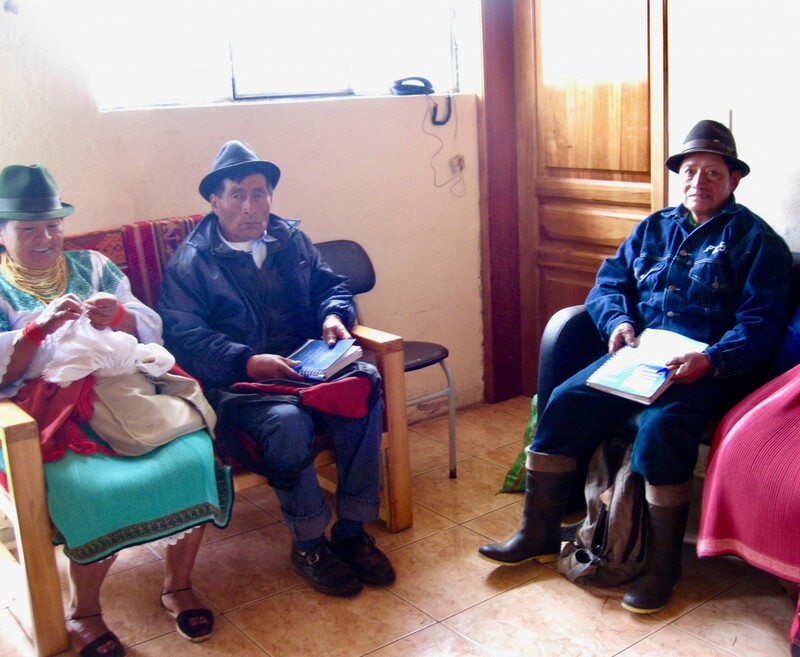 In Salasaka nearly everyone interviewed speaks kichwa as their first language whereas at Zuleta, many people do understand the language but consider Spanish as being either their first language or an equivalent with Kichwa. Generally, there seems to be less credence given here to many of the ancestral beliefs relating to health, illness and healing traditions than in Salasaka, and people are more apt to defer to modern medicine and clinicians than to a traditional healer or shaman. Traditional healers and yachaks/shamans are most certainly present here, however, but appear to attract little interest or respect from community members, although attracting clients from a broad geographical region of the country. Don Maximiliano, is a very well-respected practicing shaman who collaborates with international organisations such as the Corporación Española and he is part of an international collaborating network of shamans who recently held a meeting at the nearby community of Angochagua last September. People certainly know of him and some even fear his powers, but few people seem inclined to go and consult with him here. Ethnically the majority of people interviewed either in Salasaka or Zuleta consider themselves to be ‘Indigenous’, but in Zuleta, the influence of long term archaeological investigations at the ramp mound site and the development of the tourism industry here has highlighted the importance of the pre-Inca Caranqui culture in the region and it seems that people of younger to middle years now feel themselves to be of the ‘Pueblo Caranqui’, a relatively new phenomenon. This suggests the beneficial effects of connections with the hacienda and the associated tourism through its raising the profile of the pre-Colombian culture here. The MEDICINE project has already highlighted the critical role played by the ‘Identity’ concept in sense of individual and communal well-being, and loss of a core sense of identity can be traced to ennui, depression, anxiety and other psychological disorders cross culturally, particularly in migrant, refugee and First Nations peoples who have experienced the cultural dissociation associated with warfare, loss of homelands or conquest by an alien cultural system. As such, the development of processes that restore this damaging lost sense of cultural identity and promote healthy cultural engagement and ‘pride’ can be seen to play a vital role in re-establishing psychological health, and, from that many ‘physical’ health states.